Technology for your home is growing to a state where it can care for your home even while you’re away. Led by some of the more name brand products in this industry like Nest, in-home technology is continuing to advance quickly. Still, some products and apps aren’t so convenient for the homeowner. Others are saviors in the sense that they can make your everyday life much easier. From security to energy saving systems, there are tons of options to control normal housing functions. Here are my favorite apps that can help you build a smarter home. SmartThings, an iOS app, is on a mission to turn your smartphone into a remote control for your home. SmartThings connects sensors and devices to create a network right in your hand. The kit simply asks you to connect the sensors to your devices and instantly it’s compatible with any other home automation apps. It could be your refrigerator or even your garage door, all controlled from the SmartThings platform. The experience is very user friendly. You can add any compatible device to your home’s system and pair it with the any app. Once your system is in place, SmartThings can even help you remotely address issues in the home. If you left your oven open, SmartThings will notify you and do the deed remotely. Most importantly, this app thinks for itself and creates a level of communication between devices. When there’s a door left open, your AC can adjust so pointless dollars aren’t spent. SmartThings thinks about your home when you forget to. WeMo, a Belkin product, is a smart device that connects to your smartphone. WeMo specifically helps you control your devices when you’re away. You can turn your appliances on or off with the touch of a button or put them on a schedule and they’ll operate on their own. Put your lights or coffee on a schedule and take one more task off your hands. The biggest luxury with WeMo is that you can automate everything or nothing, it’s up to your discretion. Try your hand at WeMo’s automation. A set including one switch and one motion sensor is on the shelves for only $80. Nest is a smart thermostat and one of the first devices to help you save time and energy. The company was started by former Apple engineers but soon acquired by Google. The thermostat sports an easy-to-use interface that control a myriad of features. 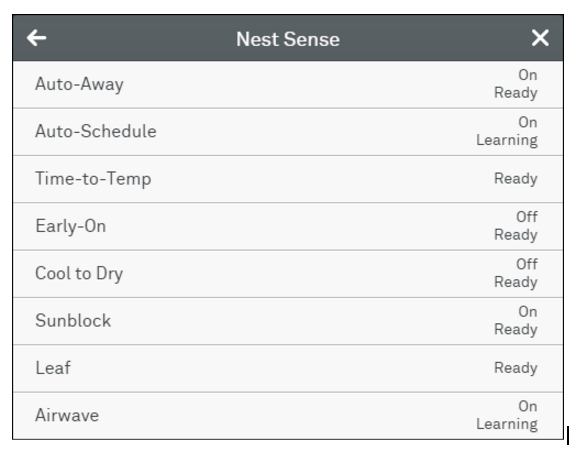 Simply turn on the heat on your way home so that you’re comfortable when you arrive or setting your AC for a certain time each day is all possible through Nest. If you’re a busy person, home automation can be a burden at first but products like Nest allow you to control your home’s temperature, efficiently, with ease. Each of these three devices offer a different service to control your home from afar. Which apps help make your life easier and calm your worries while you’re away?